New Blues arrival watches City game at Stamford Bridge. 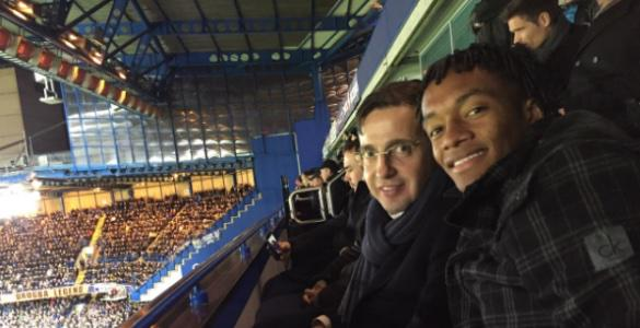 Juan Cuadrado was spotted at Stamford Bridge for Chelsea’s game against Manchester City this weekend, with a move surely close to being announced for the Colombian winger. Chelsea to sign Cuadrado: Five players with no future at the club after £26m winger deal. Chelsea target Juan Cuadrado posts farewell message to Fiorentina fans.